Paloma Faith hasn’t impressed you with her latest extravagant looks, but perhaps things will change for the Vanity Fair x Bloomberg climate change gala dinner, held in London on Tuesday (December 11). 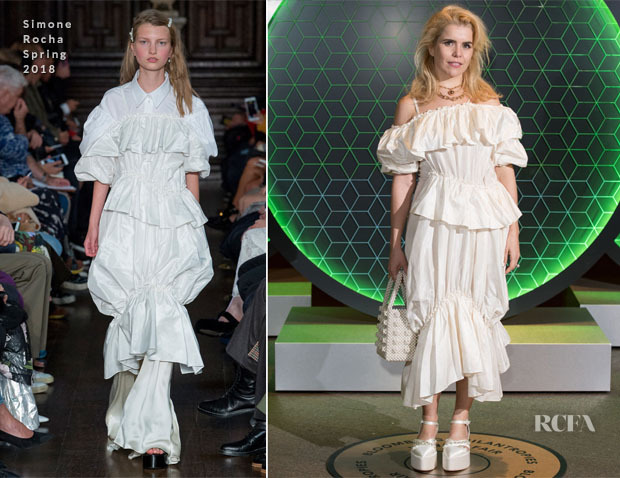 On the runway, this Simone Rocha Spring 2018 look has a lot going on, but Paloma opted to strip back most of the layers to leave two pieces which maintain a diaphanous silhouette framed with layers and ruffles. Love or loathe, this is very much a Paloma look. 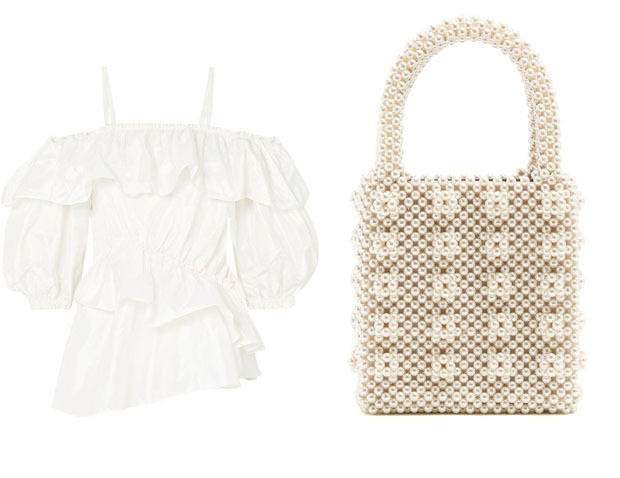 Right down to her platform heels and her can’t-live-without Shrimps ‘Antonia’ faux-pearl embellished bag.